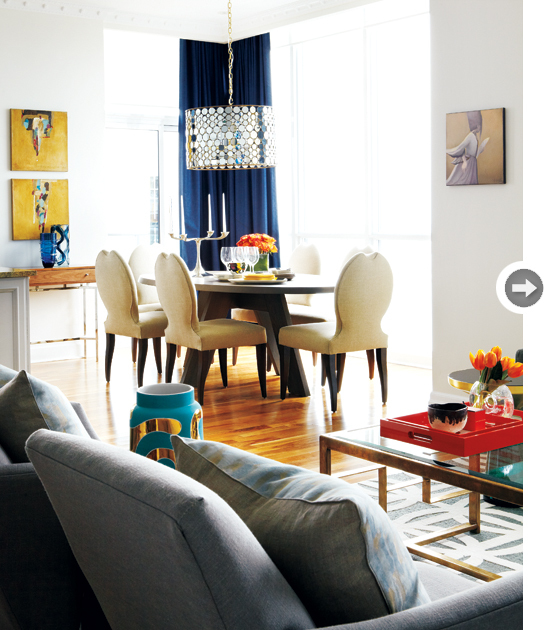 Mix and Chic: Home tour- A stylish model suite! 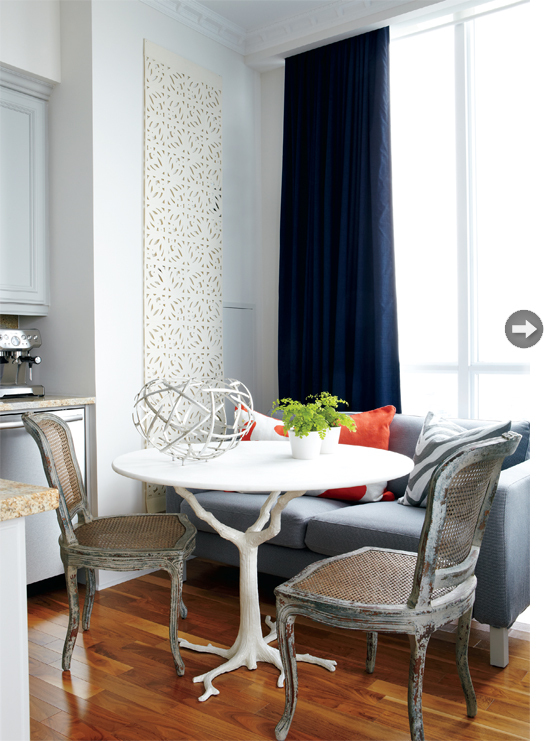 A 1,480-square-foot-model condo was transformed from a blank canvas into a stylish home filled with personality. 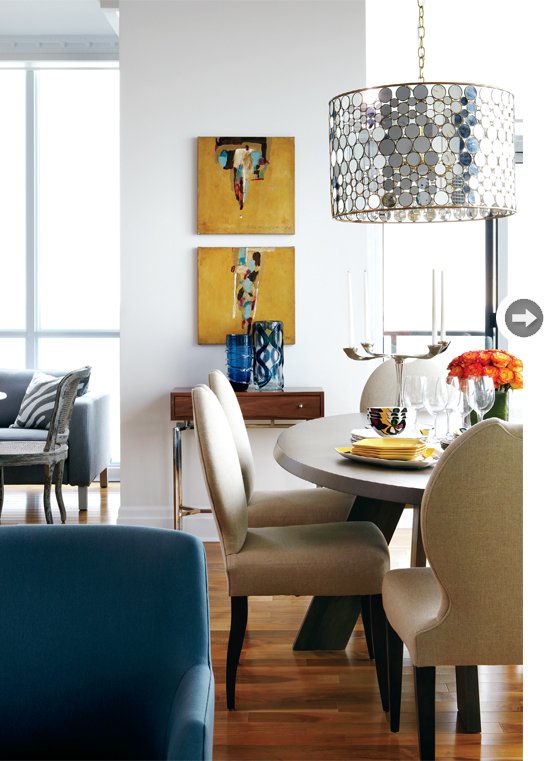 According to designer Samantha Pynn, she opted for saturated gender-neutral colors so that it would appeal to everyone. Now, let's take a look at this beautiful home below. An open concept is a great floor plan especially in small spaces. A large wooden oval dining table is a good counterpoint to the adjacent kitchen island. Additionally, it also turned a wasted kitchen nook into a breakfast area. 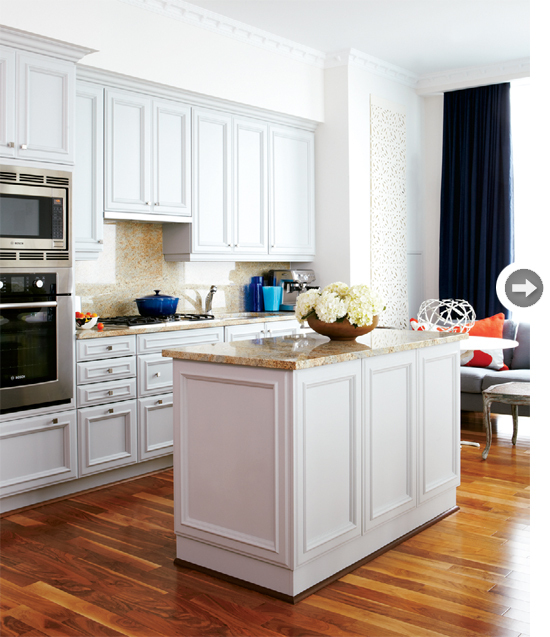 The kitchen cabinets were painted gray and square knobs were added to create a major impact. A pair of cane chairs, a loveseat and a marble topped table with a branch-shaped base provide a chic and eclectic cozy corner, perfect for casual dining or reading. 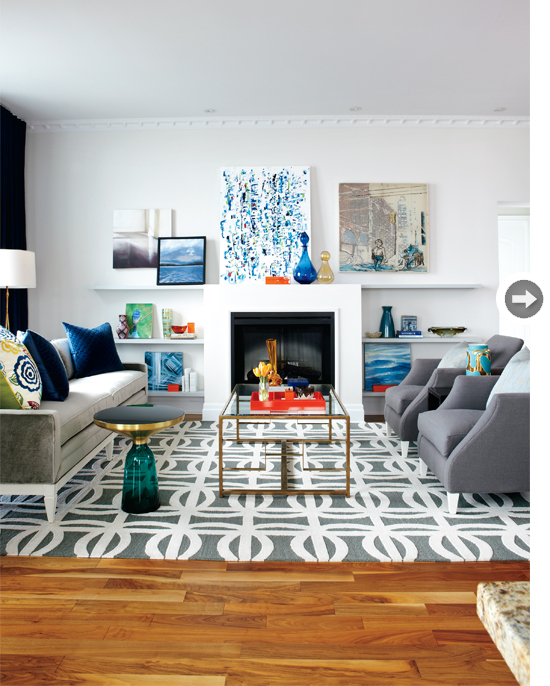 The large graphic rug is the statement piece in the living room while the neutral gray sofa and armchairs balance the look. 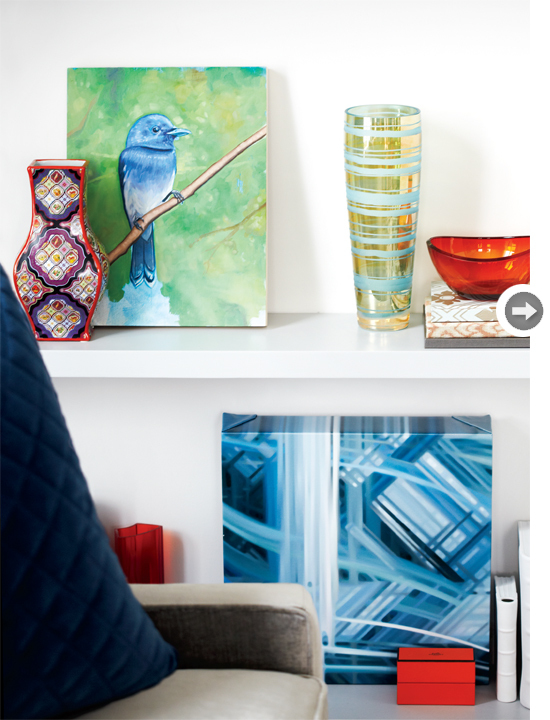 Leaning artwork against the bookshelves make a casual and chic display, especially surrounded by colorful objects. I can always spot a "Samantha Pynn" room. She has a very distinctive design style. I love the feel of the kitchen nook. It would be wonderful to have a space like that with a small-scaled sofa to read the paper and drink my morning coffee. Great use of the space. Jessie, Love this designer. Really loving the tree trunk table. I have always wanted a sofa, bench around a table. It looks very comfy. Love that patterned rug and the wood floors are beautiful. Lovely space. Gorgeous!! I love the use of rich colours in such a chic way. It's all lovely. Great find, Jessie! Ah, this one I LOVE Jessie! Bold colour, quirky details! How gorgeous is that tree branch table base? And the rich blue of the curtains, with the bold colours of the flowers and artworks is wonderful. Interesting though, if you took all these things out, it would be a very neutral space, as you say.